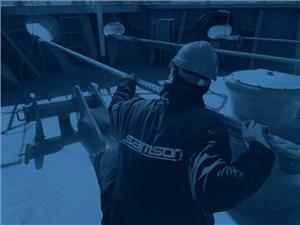 Samson, the developer of high-performance synthetic rope solutions and global market leader in commercial marine applications, has launched a new integrated technology and service solution, Icaria, designed to facilitate the transition process to MEG4 operational best practices. OCIMF's release of the fourth edition of its Mooring Equipment Guidelines marks a significant change in how mooring systems will be designed, selected, maintained and retired. In addition, terminology has been clarified, a robust framework has been created to improve mooring line selection and purchase, and design guidance is updated to improve mooring line longevity in the book. "As the regulatory environment evolves, vessel owners and operators have the opportunity to upgrade tools and systems to ultimately improve safety," said Samson Director of Engineering, Kris Volpenhein. "Icaria is designed to streamline implementation of MEG4 best practices by providing advanced tools, services, consultation, and support for both new and existing vessels. Icaria customers will have support in both MEG4 plan development and implementation." Icaria helps facilitate the transition process by providing assistance with the selection or confirmation of the appropriate mooring line system, identification of gaps and focus areas for more frequent or robust maintenance routines, and recommendations for setting service life expectations. "Samson has a long track record supporting the shipping industry since converting the first fleets from steel wire," Volpenhein said. "Icaria is a major evolution in that service, which will allow us to provide proactive and collaborative line maintenance, allowing owners and operators to safely optimize line life while reducing operational risk." Beyond compliance support, Icaria also includes learning management, training, and certifications for crew members to improve decision-making. This, combined with extensive data management, service and maintenance support, and trend analysis makes Icaria the essential solution for mooring line management and care.